but 2012 is for X-Plane in our opinion. Or you fly in Hawaii, lol. Yes Flight is a shaping up to be a big disappointment! That's just not true. I have been in 5 beta's for MS Flight Simulator and I have never been paid a cent. And those were real beta's, from very early, it hardly runs, to release candidates. For FSX I logged 22 bugs, 15 of those were fixed, 11 of those I was the only one reporting them. There are at least 25 people on this forum who were with me in the beta's for FS2004 and FSX. Mathijs: like I said.. all advanced copies. And if they did actually listen to you guys , how come FSX still has the obvious issues? Or is it possible they use people who don't know the difference since that is the intended audience. 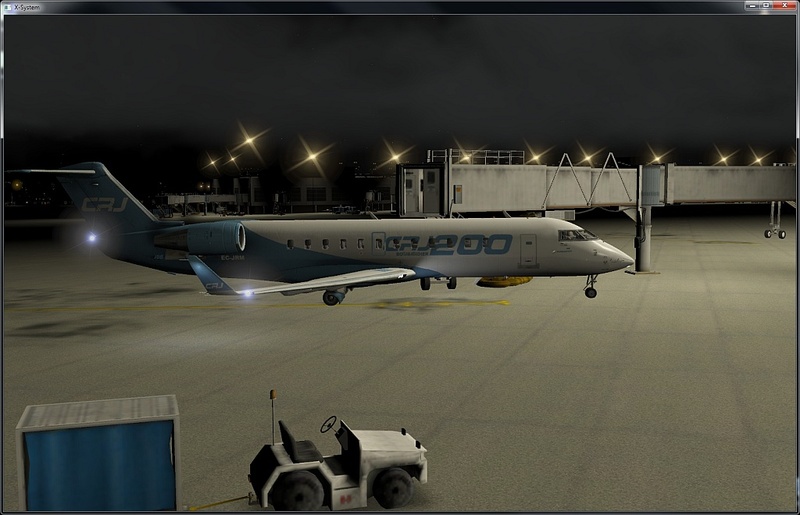 XPlane 10 is seriously amazing!! but how is Europe, Africa and Australia? Like Mathijs already said, MS used to fix some bugs and leave others. I've had the same experience with all beta versions from FS2000. At the end of the day, they're aming for a release schedule and accept that some bugs will remain, which of course is true of even Aerosoft products. You simply can't sit on a product until every single issue is resolved. As for the people they've used, you can be fairly sure that almost all commercial developers for FS have been active on the beta's. However until now I've not enjoyed XP9 as much as the MS sims. Don't get me wrong, the new AI system looks awesome, but you must agree that having a FULL model including FULL features for AI which move/behave randomly is just where MS AI system has the advantage using simpler models with simpler textures (only 1 texture and 1 lightmap of max 1024x1024 pixels) which follow pre-composed flight plans (which are relatively easy to make/adjust). I hope Laminar Research will be able to upgrade the AI system further than what they have planned right now. That's great but you do realize every game made these days requires a digital signature to run. Are you saying companies are registering outside users consoles and then sending them betas? Why would you think FSX was the exception to the internal testing requirements? Were commercial developers required to finish all the missions? Sorry, I don't understand your question or how it relates to the point you made about the MSFS beta testing. don't miss out on the Q&A in the comments. In short: For x-plane, this is a major step forward. But it is very, very new system in its infancy. They sure want to improve it over time (just like many other aspects are planned to be upgraded through the version 10 run. Like X-Plane version 9.7 is a major step forward compared to version 9.0). I know pc's are currently not powerful enough to run with higher count AI aircraft, but that was just one of the reasons MS used simplified models/textures. I'm not saying the way MS did is better, no way, however when Austin speaks of trying to create a plausible world, I think major airports should have a lot of traffic. I am aware that MSFS users may experience this as a limitation (at least initially). Just saying that for us XP-pilots it is an improvement and that we know that further improvements come through the version run (just look what was improved for version 9: http://www.x-plane.com/changelog.html). What I myself would really want is something different: "Pilotdedge Worldwide". Because interacting with real people and real ATC is a different and more immersive simulation indeed. Indeed, the FSX beta was the same as all the previous beta's. We all got codes and had to register the game just as the buyers later had to do. As this has nothing to do with the topic (X-plane) we'll close this part of the discussion. Very good comment. X-Plane 10 changes a lot of things and in intended as the base for future developments. It's rather exiting to be part of that. Takes me back to FS2002. beta 9, the lighting really starts to make sense... There is not a single night texture in what you see here. It will cut development time with at least 15%. That's a lot. Why doesn't the airplane cast a shadow on the ground? Is that an improvement of a future release or is it just deactivated? 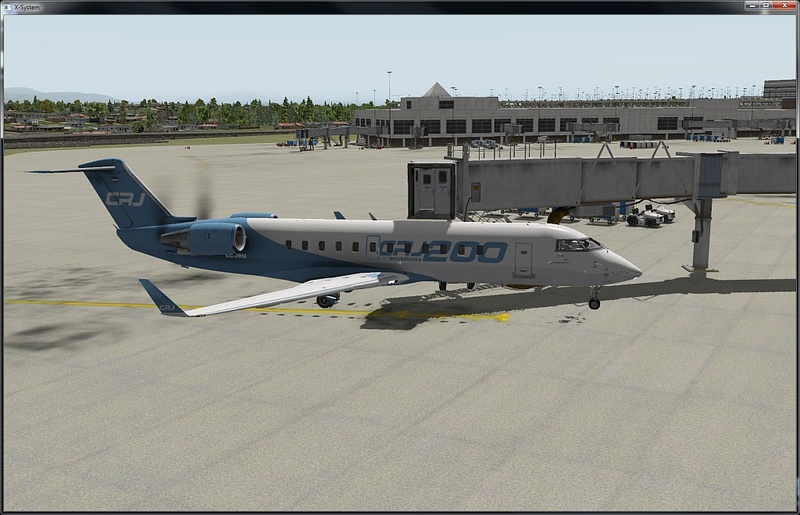 2) Does Aerosoft will offer to customer who bought their product for fsx to have a free or discounted version for xp10? I have Katana 4X for FSX and I like to use it in xp10, without re-buy it again for xp10. 3) Does pmdg is working or have a clear plan to develop for xp10? And customer who bought for fsx will have a discount? I have PMDG 737NGX, I don't want to rebuy from scratch it for XP. 4) ATC? At least like Fsx, any news on this side? Or again a robotic voice like in v8 and 9? This is not a realistic atc! 5) I also bought MU-2 Marquise for xp9, will it work for XP10? Retrocompatibility? 1 & 5) Check the links I gave some posts above. Nobody has seen the initial version that's making it into version 10.0 yet. 3) they have a beta version but there is no decisions made just yet. It may well be they never come to xplane. 5) It will. As a matter of fact the developer already announced further improvements to the plane. However, those are really refinement. ALL version 9 (and I guess version 8 also) planes will work in XP10. At least that's what Laminar wants to ensure. (same for version 9 scenery). 1. I think part of AI traffic is still in progress but the interaction with ATC is great. It's also fun to give the AI traffic very nasty weather, you see them fight to get the aircraft on the ground. 2. Certainly not free, there is a whopping lot of work going into it and that needs to be paid some how. But for some products you will find FSX/Prepar3d/X-Plane 10 installers next year and for some older projects we'll have cross updates. 3. I think you need to talk to PMDG. 4. ATC is great. far beyond what FSX does. 5. Think you have to talk to the developers of that aircraft and not us. Think I got that deactivated. Can the same be done with your US cities X? Thank you very much to all for the answers, I'll follow this project very closely. Mathijs, pleeeeeeease, try to make the Airbus X available for XP10 for X-mas !!!!! The conversion of FS to X-Plane is to a very different simulation model, it takes a good X-Plane Dev 8 months (or more) to create a good X-Plane product, even with Aerosoft's capabilities and resources i doubt they would do it under 6 to 12 months, Xmas 2012 would be more realistic. would be nice if you could outline why you think XP10-ATC is superior to FSX ATC? Pays no attention to obstacles (e.g. mountains) or weather conditions, no speed/gap advice for approach operations, generic instead of customized taxiway-layouts. I´m fine with that and understand that this is the first "real" ATC for XP and that it will be improved and expanded - so this is NO rant at all. Just curious what your good impression of the new ATC comes from and what you can tell about it. That second shot looks the business!